Whether you’re searching for the perfect VW Jetta TDI or you have your sights set on a VW Golf TDI, you’ll find it and more in the extensive inventory of VW TDI vehicles for sale at Alexandria Volkswagen. Pick your TDI diesel engine and enjoy extra boost, greater fuel efficiency, and better overall engine performance than standard gasoline engines for a better, more efficient Arlington area commute. 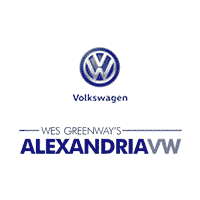 Find your ideal used vehicle in the inventory below then keep reading to see what brings Washington DC shoppers to Alexandria Volkswagen over the competition. We even offer community information to help you find the best brunch places in Arlington to show off your new purchase. Explore your options here and when you’re ready, contact an associate to get started.